Easily rotate MP4 videos on Mac/Windows with powerful features. Have you ever recorded videos with your mobile phone in MP4 (MPEG, MPG) format? Many people do and some of them end up recording video sideways. When these MP4 videos are played your computer, they're rotated 90 degrees. The good news is that most media players support rotating MP4 video upright, but you'll need to do so every time to play the video. Is there an easy way to rotate MP4 video permanently so that you can play it without hassles? 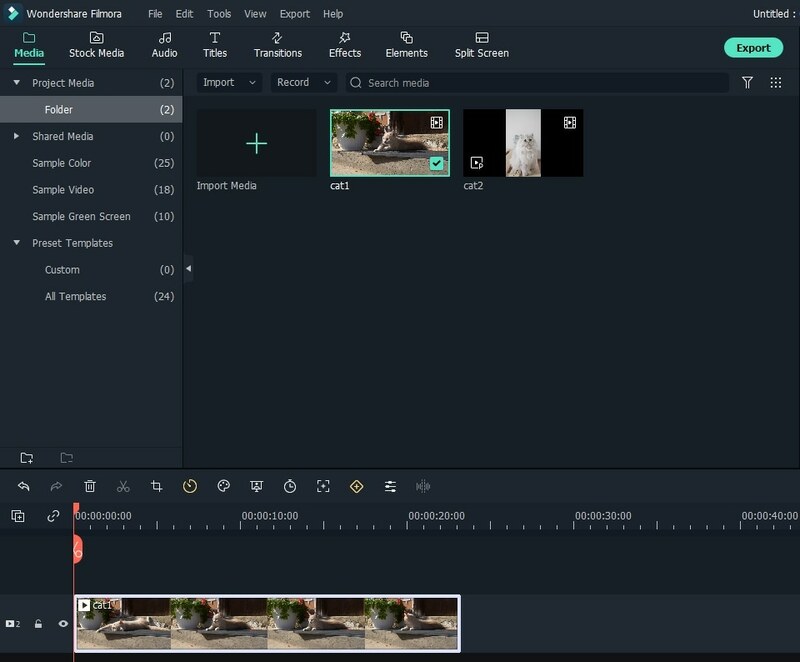 You can rely on a video editing software like Wondershare Filmora. 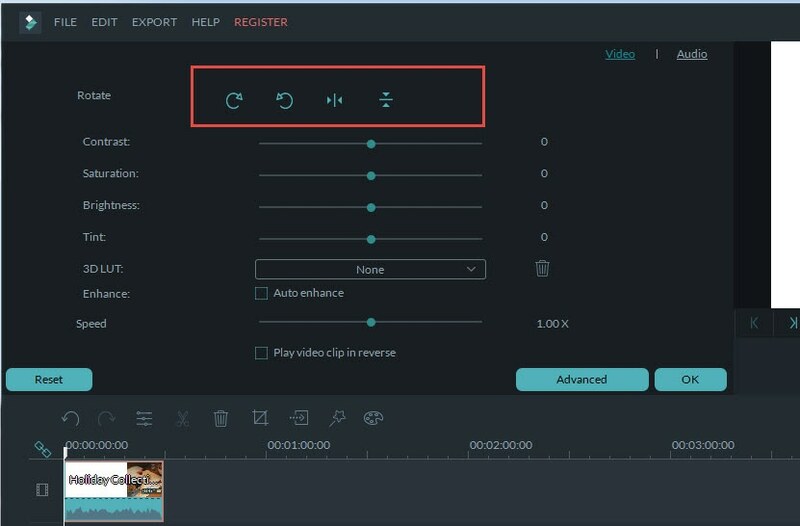 Since rotating video is the basic feature of a video editor, it's not the reason why you should choose Wondershare Filmora. What makes it outstanding is its easiness and efficiency, yet with affordable price. Read on to get more information. Rotate your MP4 (MPEG, MPG) videos with a click. Provides more advanced editing features like Face Off, Tilt-shift, Jump Cut and more. Enhance your video with hundreds of built-in effects. Share your video on TV, YouTube, Facebook, iPhone, PSP, etc. Click "Import" to browse your file folder or simply drag and drop your files to the primary window. This program has a User's Album to manage your imported MP4 files. When you import all MP4 files, they'll show as thumbnails in the Album. 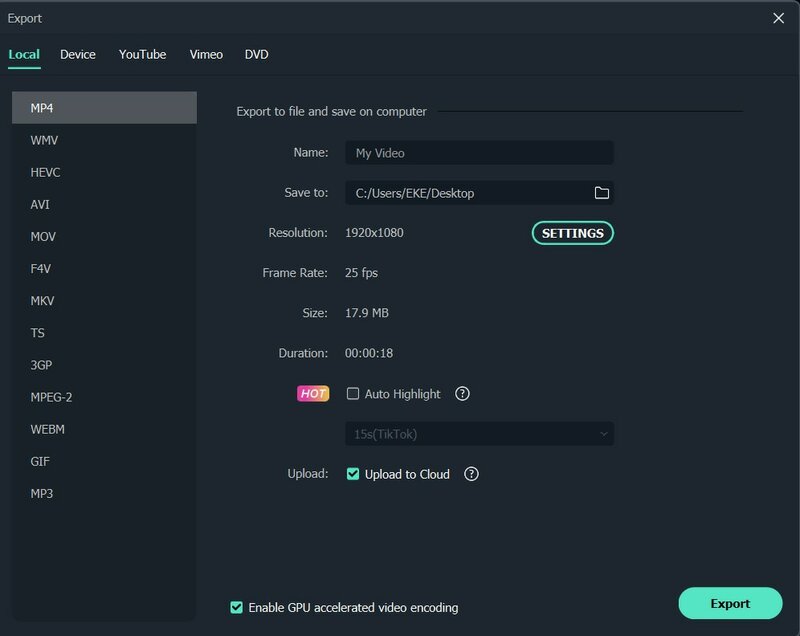 Besides MP4 format, Wondershare Filmora supports all regular formats, including MOV, AVI, WMV, MPG, VOB, TOD, MOD, TS, TP, MTS, M2TS, etc. To rotate MP4 video files, you need to drag it from the User's Album to the video track on the Timeline. Then double click the MP4 video thumbnail on Timeline to show up the Rotate options by which you can rotate MP4 video with one click. Below is the description for the 4 rotation related options. Just click each to rotate or flip your MP4 video. The operation will immediately take effect. 1.Rotate MP4 video 90 degrees clockwise and continuously. Therefore, you can rotate video 90 degrees, 180 degrees, 270 degrees and no change. 2.Rotate MP4 video 90 degrees anticlockwise and continuously, similar to the first one, but in anti-direction. 3.Flip MP4 video horizontally, upside down. 4.Flip MP4 video vertical, left to right. When your MP4 file has been rotated upright, and maybe also enhanced with another tool, now it's the time to save the change permanently so that you can play it perfectly either on PC, TV, device or YouTube. Wondershare Filmora almost supports all sharing possibilities. To do so, click "Create" button and you get 4 tabs: Device, Format, YouTube and DVD. They are self-evident. In each tab, choose the right format/device, or type in the necessary information before finally clicking "Create" button to output rotated MP4 videos.